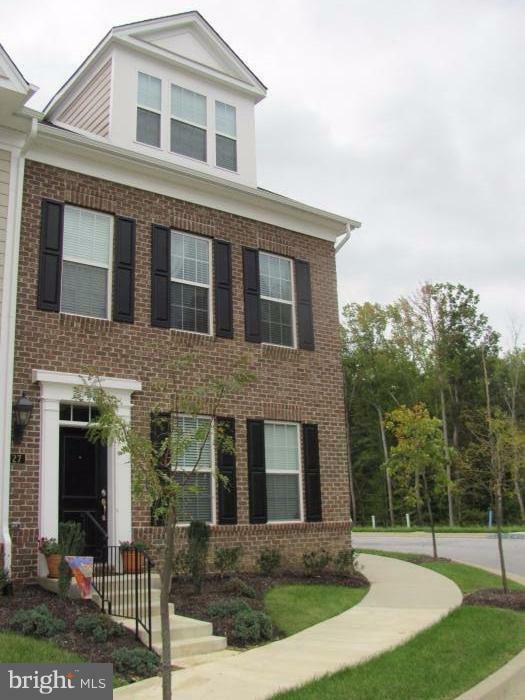 Beautiful end unit brick front TH w/2 car garage. Top floor MBR suite w/sitting room, wak-in closet, and great master bath. Open floor plan on main level w/9 ceilings, gleaming HW floors, kitchen w/SS appliances and slider to maintenance free deck. Each bedroom has a full bath. Enjoy the community, clubhouse, pool, and walking trails. More photos coming soon!